Jason Chen: Gizmodo Editor, Apple Employee? 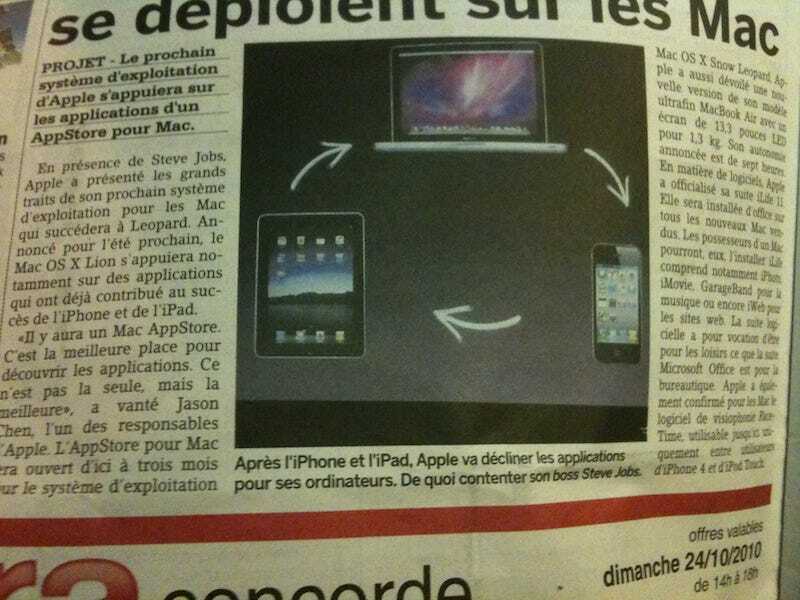 Either a writer at Luxembourgish newspaper L'essentiel is very confused or we've all been seriously deceived. Whichever the case, there's definitely an article claiming that Gizmodo Editor Jason Chen is "an official from Apple." "There will be a Mac App Store. This is the best place to discover the applications. This is not the only one, but the best," boasted Jason Chen, an official from Apple. Update: Our counterparts at Gizmodo France sent us a note to say that the translation "is 100% correct" and that "there is no alternate meaning for this sentence." Uh oh.